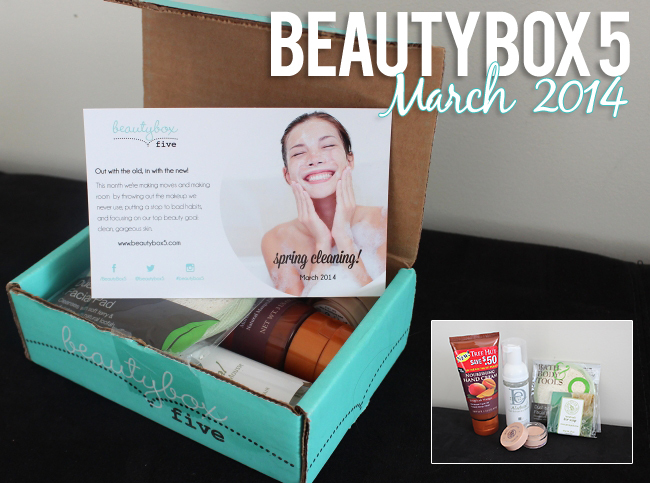 Beauty Box 5 March 2014 Review and April's Sneak Peak! Another month and another Beauty Box 5, this time for month March. This has been mine sixth box and so far I have been very happy with the samples. I can honestly say that in every box I find at least one item that I adore and this box was not different. 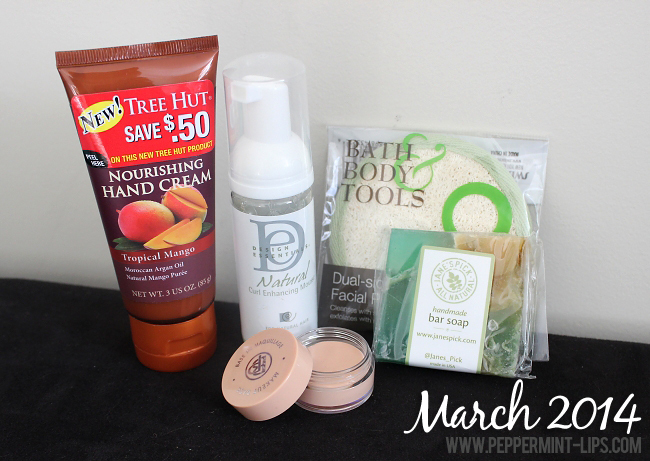 But let's find out what was inside March 2014 Beauty Box 5 below. 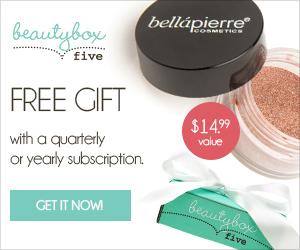 What's in March 2014 Beauty Box 5? :: Tree Hut Moisturizing Hand Cream ($5.29, FULL SIZE) - let me start from my favorite BB5 product this month - the delicious smelling Tropical Mango Hand Cream. I love the super light formula that absorbs quickly and the sweet but still subtle mango scent. Also this hand cream is made with organic shea butter, argan oil and it's paraben free. Very happy with this product. :: Design Essentials Natural Curl Enhancing Mousse ($15.99, sample) - this curl enhancing mousse is infused with olive oil and dries quickly. I absolutely love the fruity smell, yum! :: Swissco Dual-sided Facial Pad ($2.00, FULL SIZE) - great for washing and exfoliating your face. Perfect for travelling too! 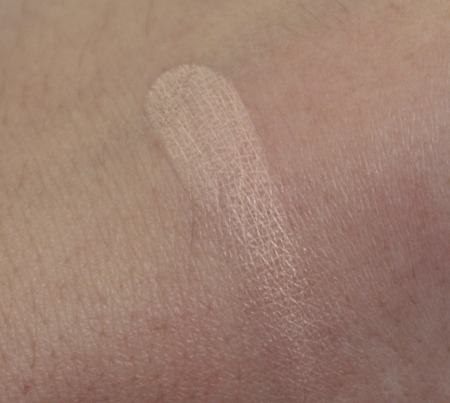 :: Bellapierre Cosmetics Makeup Base ($18.99) - with its ivory shade, this product can work not only as a makeup base but also as a concealer and illuminator. :: Jane's Pick All natural soaps ($8) - this handmade soap was made from a natural blend of herbs and flowers. I've always wanted to try those cute handmade soaps, so I am excited to try this one out! Very happy with this month's items! April's Beauty Box 5 Sneak Peak!! Have a wonderful day Ladies, xox Disclaimer: I am part of the BB5 Beauty Bloggers. All opinions are honest and my own. Interesting - I have seen more variety in this month's boxes than it seems like we normally do!